Better known by his professional name Marc Anthony, Marco Antonio Muniz is an American actor, singer and Record Producer. Born on September 16, 1968, Marc started his musical career with freestyle but it was his turn towards salsa music which garnered him the huge amount of success worldwide. During his career as a singer, he has released several music albums so far and remains the highest selling tropical salsa artists of all time having sold over 12 million albums worldwide. 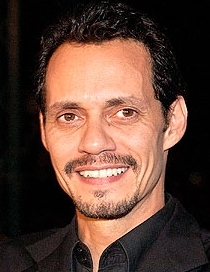 In addition to singing, Marc Anthony has also done some acting projects having appeared in films like Hackers, Big Night, In the Time of the Butterflies and Man on Fire. As far as his personal life is concerned, Marc has been married thrice till now. He first married former Miss Universe Dayanara Torres in 2000 which ended in 2003, his second marriage with singer Jennifer Lopez lasted from 2004 to 2014 while Marc is now married to model Shannon de Lima since November 2014. Following is the list of Marc Anthony body measurements including his weight, height and shoe size. He is a supporter of the Democratic Party. Marc Anthony is the best selling tropical salsa artist of all time. His parents named him after the Mexican singer Marco Antonio Muñiz. He took the professional name Marc Anthony in order to avoid confusion with his namesake. Marc Anthony is my fantasie huband and Jennifer my wife. I love them. To bad it didn’t work in marriage for them.